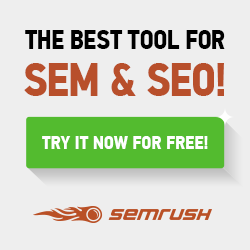 How CMS Platforms Affect Your SEO – Who Knew? On the other side of any content management system (CMS) is a full-scale search engine optimisation (SEO) campaign. While the former organises and supplies a functional layout for your published content, the latter focuses on creating quality content and applying strategies that make your website rank well. Some people are under the impression that generating fresh content on a regular basis through a CMS platform boosts SEO effort. However, there is more to SEO than having a good CMS. There is a difference between a good CMS platform and a CMS platform that is perfect for SEO campaigns. A content management system (CMS) is an online interface that allows users to curate and produce digital content. Because of CMS, digital entrepreneurs and businesses looking to increase their online presence are encouraged to launch their own websites. Websites have become important sources of information for consumers. Having a website enables businesses to communicate and build a relationship with their target clients. Websites are not only places for acquiring information online, but they are also powerful tools to fuel business growth. A CMS platform makes the creation of websites easier and less of a jargon for business owners and managers. They can update pages, change the content, create new posts and add elements to the existing layout without asking help from a web designer or developer all the time. CMS platforms and their now-indispensable role in website creation have greatly contributed to the rise of online entrepreneurship. WordPress is the most widely used CMS with almost 75 million websites under its belt. It powers nearly half of the top 100 Technorati blogs. 9 out of 10 blogs are powered by WordPress. Though clearly a prominent platform and occupying a large chunk of the CMS market, WordPress is not the only CMS platform worth considering. Drupal, Joomla, Blogger, Shopify, Magento and SquareSpace each has a share in the market. All these platforms except Blogger are used to curate content on e-commerce websites. When selecting the right CMS platform for your business, consider your budget. You also need to pay attention to web design and functionality, website size, custom options and search engine friendliness. Why WordPress is the most in-demand CMS platform clearly has something to do with SEO trends. SEO has made CMS even more relevant in this digital age and vice versa. Since targeted content gives value to potential customers and makes websites more searchable online, having an easy platform for creating and curating content is crucial. Unless you can put up with an outdated SEO approach, it is highly recommended that you use an SEO friendly CMS platform that has or makes possible the qualities listed above. Do not forget these backend considerations when selecting a CMS for your business website. Certain CMS platforms have built-in SEO features. Others may need plugins, which you can download or purchase at your discretion. Some of the best CMS platforms allow users to add content and edit as many fields and text areas as would be necessary for SEO. The ideal CMS also set limits on specific fields such as Title tags and meta descriptions in accordance with search engine guidelines. Not that SEO features may differ depending on the theme or plugin you installed. Meta tags (meta title, meta descriptions and meta keywords) – These are texts within the HTML source code that are converted to snippets of information on search engine results. Alternative “ALT” tags – These are short blurbs attached to images and visible only on the source code; they help search engines understand what an image is about. URL slugs – These pertain to the extended pieces of text connected to your homepage address that redirect you to the exact location of a web page (e.g. https://www.website.com/place-slug-here). Customisable categories and tags – These are usually found on the right sidebar of your CMS interface and can be adjusted or deleted as you see fit; they help search engines classify your content and your website under the right neighbourhoods. Breadcrumbs – Called navigational aids, breadcrumbs are related pieces of text or information that help users navigate your website with ease. Social media share buttons – Many CMS platforms have built-in share buttons to facilitate social media marketing and easily disseminate information on various social platforms. Location – Content management systems like WordPress let authors optimise their content for specific countries or regions; this feature is helpful to businesses with local clients. Nowadays, SEO campaigns are next to impossible without the aid of SEO friendly CMS platforms. On one hand, CMS platforms are not relevant unless they have salient SEO features. These two fields coexist to make digital marketing easier, less time-consuming and more efficient for businesses of any size or niche. The key takeaway here is that the CMS platform you choose to manage web content may affect your website’s performance on search results. If you plan to do SEO, it is important to choose a platform that supports your campaign. This saves you time and resources. Businesses invest a significant portion of their capital or revenue to publish or maintain an optimised website. By incorporating CMS and SEO innovations into your overall marketing plan, you can level the playing the field and create unique experiences for your potential customers. Lancey Clemons is a content curator and web specialist for SEO Company Canberra. He has years of experience in the digital marketing industry. He loves to read, write and visit scenic spots during his free time.